IT cannot move, thus it is utterly dynamic [transformable]. IT ACT’s on your command and hence the Unborn mind mantra, ‘what the mind focuses on determines its reality’, proves itself at each breath or at each image you glance upon or madly desire. If you decide to make a simple assertion or even utter a sudden curse in your mouth, you have transformed it and manifested it as an empty image, devoid of the Unborn Mind Essence. This is indeed a miracle in itself, yet as you have used it so much as you use those ordinary daily things, thoughts and desires, you take this for granted and thus cannot learn more from the simple process of initial conception and final manifestation. 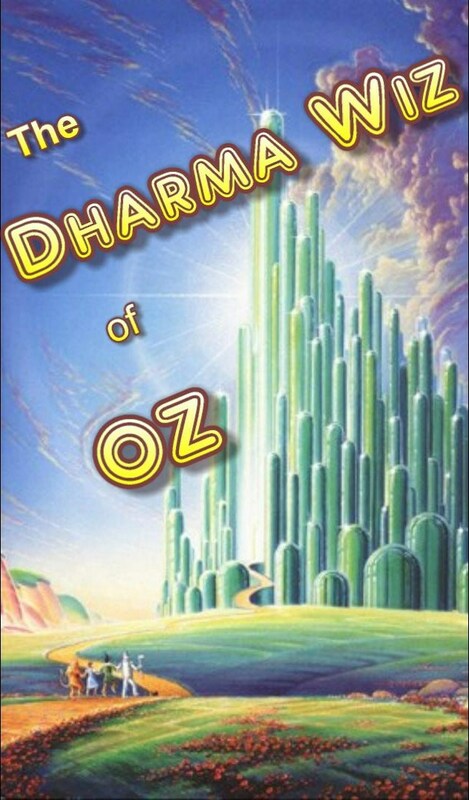 Like Dorothy in the Wizard of Oz, this self-realization is not attained by one large jump-leap, but rather through those small steps along the yellow brick road until the dawning of that perfect insight, which leads to increased faith in the great, emerald pearl, of the Unborn Mind. Thus, only through Trial and error will one discover the right path home to the undiscovered country of the unborn. In this fashion, reaching the supreme dharma is not different from that energy you invest in transforming each day with what you consider to be ordinary things, thoughts and emotions. If you study IT as such, in the years to come it will reveal truths beyond your wildest imagination. For it is itself the active dynamis and animus of all imagination. It is the wizard of Oz and yet it can be the devil himself. Far beyond the mortal notions of compassion which often are based on emotional-volition in a mind that does not yet comprehend the perfect suchness of the Tathagatagarbha. This entry was posted in The Dragon Mind of Zen Tarot and tagged Dharma, Dharma Wiz of OZ, dynamic, IT, Mind, Tathāgatagarbha, Unborn. Bookmark the permalink.